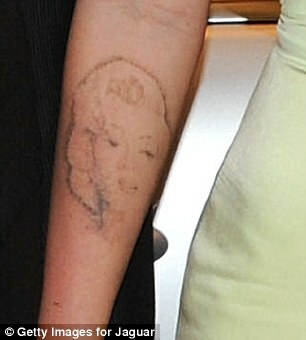 Megan Fox was recently spotted out and about showing off her fading tattoo. But did you know tattoo concealers are also a great to use during the removal process. Tattoo Removal is a slow fading process and on average takes 1 – 2 years to fully remove a tattoo. As the ink breaks down your tattoos can appear old, faded and blurry which is why using a tattoo makeup during the process is a great way to temporarily hide the tattoos you no longer want. Just be sure the area is fully healed after each treatment before applying a tattoo concealer. 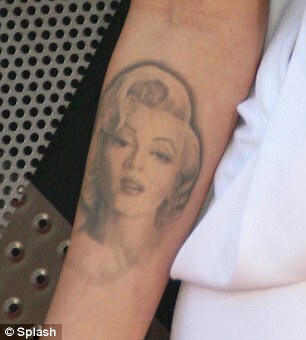 Megan Fox shows off a before and after of the Marilyn Monroe tattoo she is removing from her forearm.